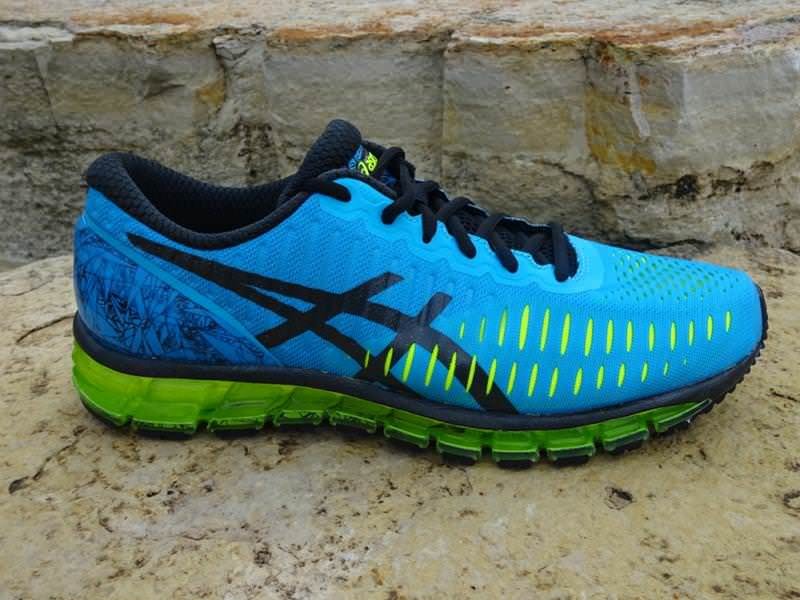 The ASICS GEL-Quantum 360’s debut as a neutral daily running shoe was greatly anticipated. The shoe is all about “cushioning” and comfort with a full-length GEL midsole which provided smooth ground contact during each run without being too “springy”. I found the seamless upper to be very comfortable and the shoe did fit true to size although some runners may find it to be a bit narrow in the midfoot. The shoe is built with plenty of cushioning underfoot and comfortable from top to bottom. I did find this this newest ASICS to be a bit pricey for an everyday trainer. The ASICS GEL-Quantum 360 is quality daily trainer for those neutral runners who are looking for an ultra-cushioned shoe which delivers a quick and responsive ride with durable traction underfoot. The debut of the ASICS GEL-Quantum 360 offers a quality daily trainer delivering a soft ride during entire foot strike and is aimed at being ASICS most cushioned neutral shoe. The key feature that sets the new Quantum 360 apart is the introduction of the first “360 Degrees” of GEL Cushioning throughout the midsole, the most GEL of any shoe in the ASICS line-up. The moment I took the shoe out of the box and went for the first run, I could feel the generous GEL Cushioning throughout the midsole along with the comfort of the stretch mesh seamless upper. My initial thought was if there would be too much GEL underfoot making the ride too soft during my runs. I was pleasantly surprised that the new GEL midsole offered a smooth rid, no bounce, while the upper kept my foot secure and in control during entire transition. The Quantum 360 is going to have to compete with similar ultra-cushioned shoes such as the Brooks Glycerin 13 and Hoka One One Clifton 2 and cushioned shoes such as ASICS GEL-Nimbus 17, Saucony Triumph ISO and Brooks Ghost 8. The Quantum 360 joins the benefits of a plush full-length Solyte® midsole with the new “360 Degrees” of GEL cushioning combined with a FluidFit™ seamless upper for a solid neutral performance trainer. I found this unique and new design to deliver a reliable and comfortable ride during entire ground contact. 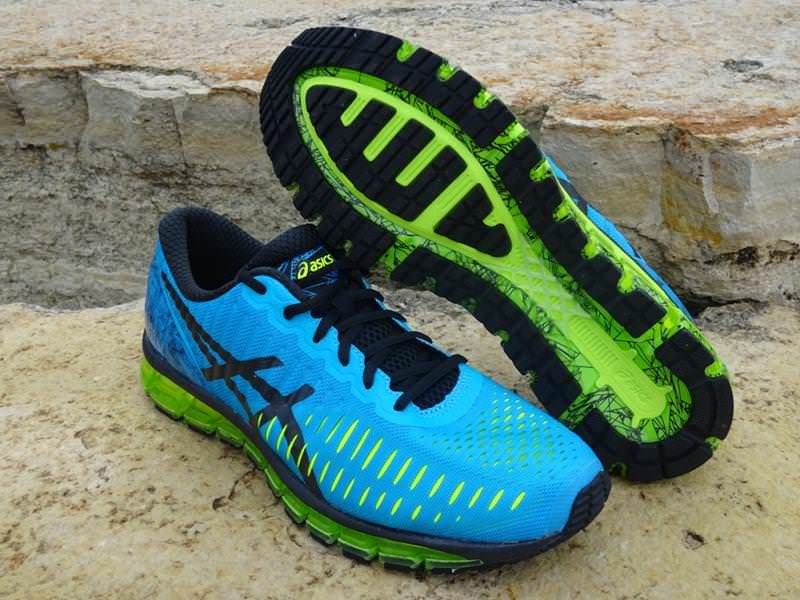 The sole unit of the Quantum 360 is what sets it apart from all the other ASICS models. 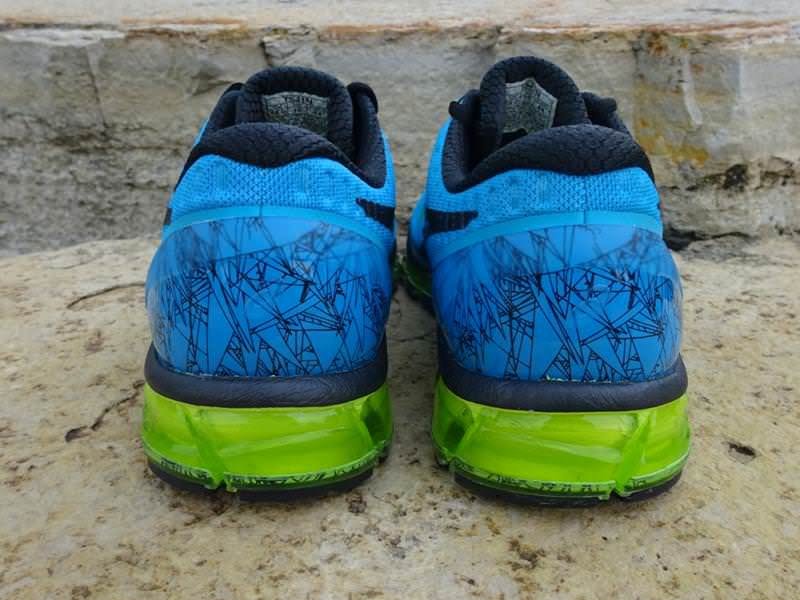 With “360 Degrees” of GEL cushioning from heel-to-toe, the shoe provided a smooth ride and excel shock absorption during ground contact. The use of a Solyte® midsole which sits between new GEL midsole and upper allowed me to have more responsive feel underfoot and when combined with the additional GEL Cushioning built into the Forefoot and Heel helped my foot to feel reduced shock during ground impact. 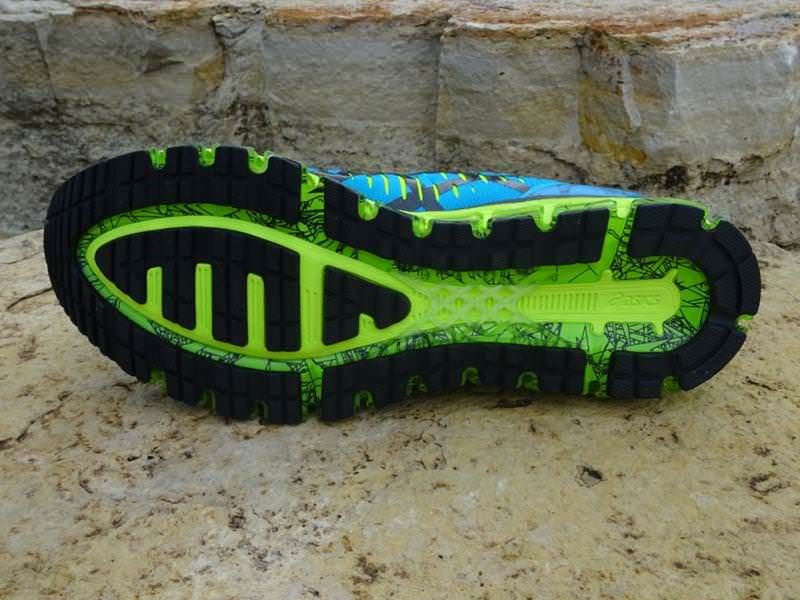 The shoe incorporated with a full-length “Trusstic System” which is a clear durable plastic aimed at increasing efficiency and control for a responsive feel during a runner’s foot strike. The outsole design was a bit more “aggressive” than I prefer for a daily trainer. It is comprised of the durable ASICS High Abrasion Rubber (AHAR) designed for logging lots of miles. I felt this shoe performed better on varying types of surfaces rather than on simple, smooth roads which the Nimbus 17 or Kayano 22 excel on as they have a less aggressive outsole. The shoe performed well as it I could feel the additional cushioning without being too “springy” and I felt in control during each foot strike. The midsole and outsole combined to deliver a plush and responsive ride throughout transition during each of my runs, whether short or long. The Quantum comes with an 10mm heel-to-toe drop allowing me to feel the road more. The Quantum 360 includes the ASICS FluidFit™ seamless upper which is comprised of a lightweight synthetic material which looks firm from the initial outset however is soft and comfortable once the shoe is laced up. The design of the upper joins multi-directional stretch mesh with stretch reinforcements for comfortable fit which I found to be very comfortable and flexible as it molded to my foot. The seamless mesh delivered a snug and secure fit during each run and there were no irritation or hot spots during any outings. 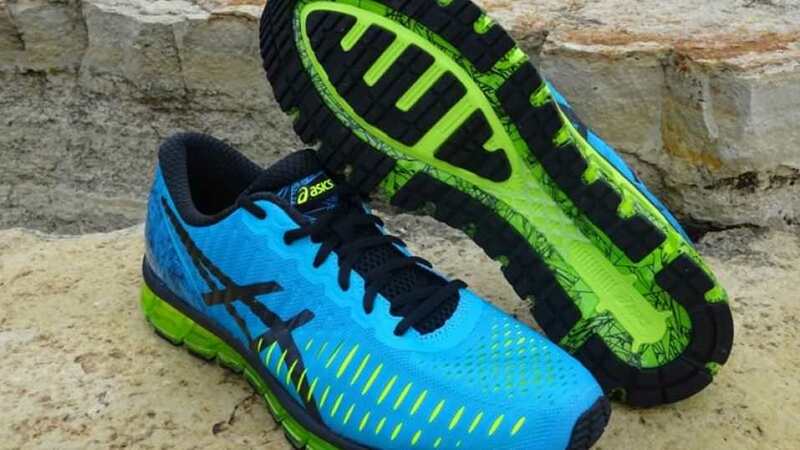 The seamless upper construction is similar to that which is now found on the latest Nimbus 17 and Kayano 22 for ASICS. For me the shoe fit true to size in all areas, however, runners with a more wide foot may find the upper a bit narrow in the midfoot. The Heel Clutch, or heel counter, kept my foot securely locked in place and inline during each run and provided ample stability and security during each run regardless of the type of terrain I found myself running on. The heel counter is made of a thin, plastic material which extends all the way to the midfoot which is intended to increase support along with overall heel comfort and control. As with many ASICS models, I found the Comfort Dry Sock-liner to be comfortable and breathable, something I have come to count on when running in ASICS shoes. The overall fit of the Quantum 360 upper was comfortable and kept my foot secure and provided the control I would want in an everyday trainer. The combination of the seamless upper with the extended heel counter provided a responsive ride and allowed my foot plenty of flexibility while still providing the stability I desired during ground contact. The ASICS GEL-Quantum 360 is a daily trainer for neutral runners and everyday athletes who want superior cushioning and durability. 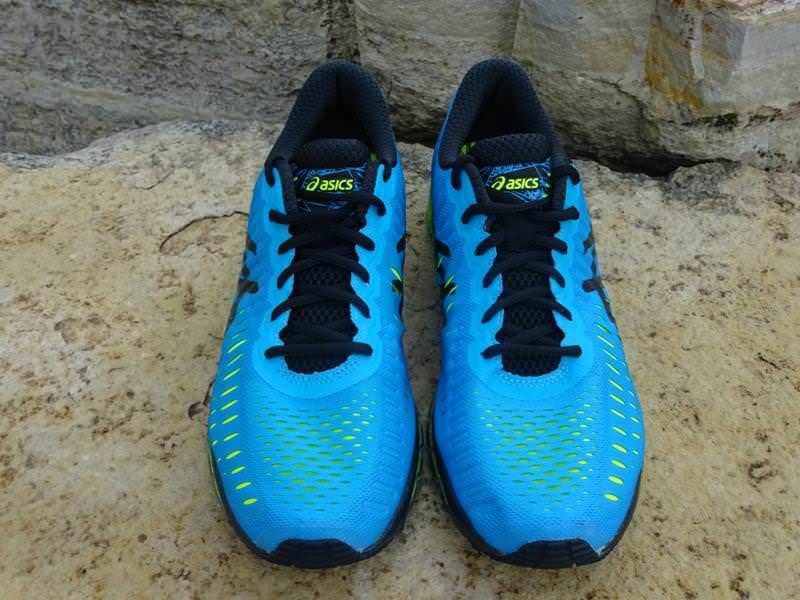 The Quantum 360 has a unique target market that may not suit every neutral runner looking for highly cushioned trainer. The use of the new full-length “360 Degree” GEL cushioning midsole which is the core of this shoe, delivers ample cushioning, without being bouncy, providing a smooth, and responsive transition throughout entire ground contact. The use of a seamless mesh upper that wraps and molds to the foot provides a very comfortable fit. For myself, the fit was true to size however for those needing a more wide midfoot, they may find it a bit snug. For those neutral runners who are looking for that ultra-cushioning shoe, the Quantum 360 should be one to consider taking out for a run. The shoe offers a plush cushioning, comfortable upper and a smooth, responsive transition while encountering various types of terrain when running. However, I think many runners may find this first version to be a bit pricey for an everyday performance trainer. 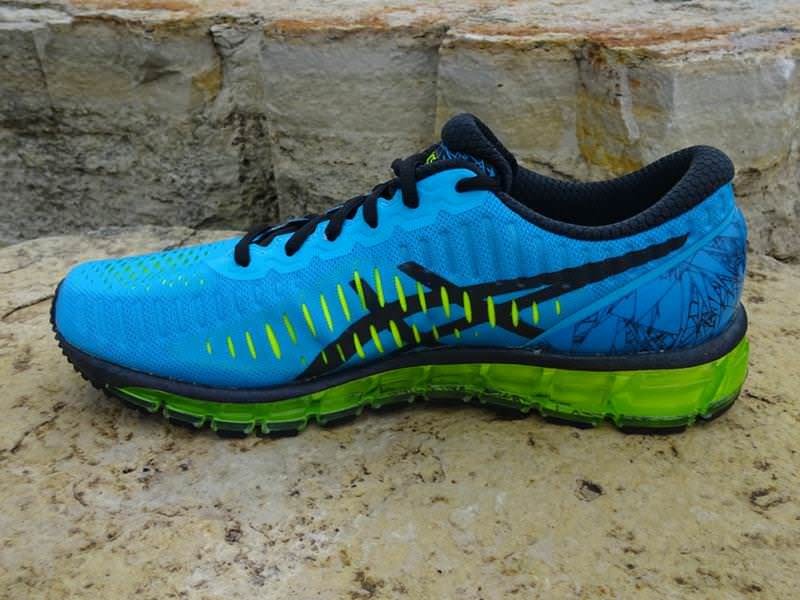 We thank the nice people at Asics for sending us a pair of Gel Quantum 360 to test. This did not influence the outcome of the review, written after running more than 50 miles in them. bought the ASICS gel quantum 360 one week ago. Avid marathon runner and I have been running for over 30 years. In the store lovely cushioning but now after a week they are still not broken in. Never have experienced such pain from a new shoe. Burning sensation in right forefoot almost unbearable at 10 km mark and suffer the last 5 to get home. Both feet burn but the right is incredible. Have tried all things to lessen pain (socks changed, new laces, changed lacing). Disaster shoes. Very disappointed. Experiencing the same burning sensation 😏😔 pity the cushioning is amazing and yes can nevagate various terrains well. But just the burning! I have the same issue. Severe burning in both forefeet. Very strange… not sure what’s causing. Unusable. What is the difference between the Asic’s Gel Quantum 360 the Quantum Shift and the Quantum Knit and the Quantum CM? The thin plastic around the ankle really hurts my bone. Very disappointed for $180 pair of shoes. Am I the only one gotten the issue??? Have been wearing these shoes for about 3 months now. Have the same burning sensation in feet, especially the heel and some fatigue in calves. Will try swapping insole out with some Super feet but if that doesn’t do the trick, I’m going back to the Kayanos or Pegasus 35s. I bought these shoes a year and half ago and logged over 1000km in them (yes, they need to be replaced now). They’ve stood up very well. Never have I had an uncomfortable run in them (no break in period like the others here have). After 1000km+, the upper still looks new, the outsole has a bit of wear, and the insole is no longer very responsive (as expected!). The only negative – and it’s a big one – is that this shoe is quite heavy and therefore slow. The cushioning comes at a cost.